Ladbrokes Poker have launched an exciting new promotion where players can win their share in a top rated race horse. With the 2006 flat racing season approaching, horse racing punters will be looking for a sure thing in the New Year. Ladbrokes Poker have got that sure thing exclusively for their online poker players. Starting towards the end of December players win a share in a high class race horse for the 2006 season. The horse will be owned by the Ladbrokes Poker Community. With 200 shares on offer at a value of $1,000 each there is some serious money invested into this animal. Players will benefit from their shareholder status by being eligible for the "Laddies Poker Owners Club". Ladbrokes will also organise a Newmarket experience, including stable visits to meet the trainer, morning gallops to see Laddies Poker in full flow. In the afternoon there will be a poker tournament, exclusively for shareholders, too. Of course, shareholders will also benefit from hospitality packages to meetings where the horse is running. Ladbrokes are staying quiet on how players can win this prize. It seems certain satellites and super satellites will be involved towards the end of the year, though. Don't forget the Big Money Christmas at Ladbrokes on the 28th, 29th and 30th of December. $70,000 is guaranteed over the three events. That's sure to kick off your New Year in style. 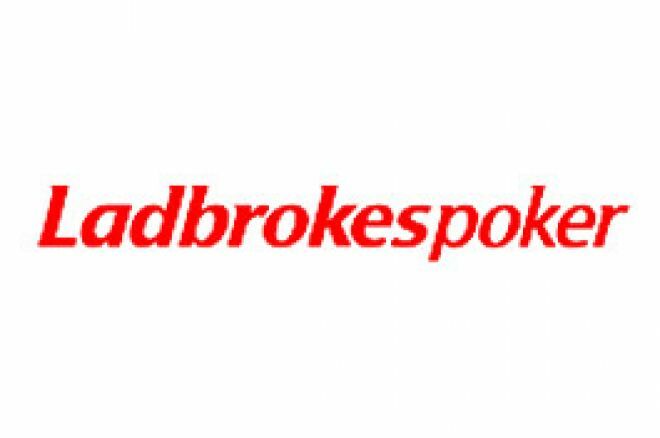 Ed note: Join Ladbrokes Poker today and claim your $100 bonus and the chance to be a race horse shareholder.